I picked up another package of of the cute toddler baseballs on clearance at CVS. I picked up a package of envelopes from Walmart to add to the oldest age group's boxes. I got some mechanical pencils free at CVS. I was able to hit a couple Dollar Generals to take advantage of their 50% off all clearance deal. 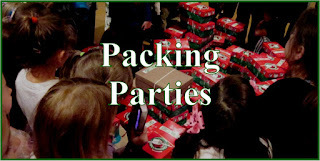 I also picked up some items for the shoeboxes I'm tasked with shopping for a packing party with the kids at my church...posted some of that on the Simply Shoe Box Facebook page. 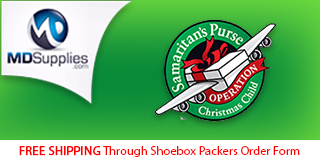 We have shared several ideas on Operation Christmas Child Shoebox Stockpile Organization for those of you interested. At this time of year there are a great variety of prices of crayons at back to school sales: from fifty cents to as inexpensive as a penny. So many choices...how to choose! 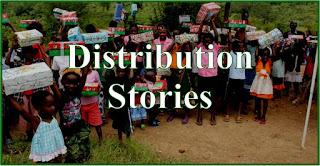 We want to send nice things to the children in our Operation Christmas Child shoeboxes, but we don't want to spend money just to get a name on the box. So I decided to do some tests. Now crayons exact make up may change from year to year, or from batch to batch, especially cheaper ones that may have less stringent controls, but this is the best info we can give you. 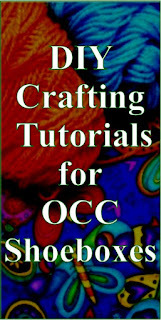 First, how do they color? My sister and I both were able to stop and pick up the penny deals at Office Depot, I only got a photo of mine, though, but we got double of this for our Operation Christmas Child shoeboxes. I'm waiting to decide on whether or not to send this brand of crayons until I do some more tests on it's quality. UPDATE: we did a melt and coloring test on several brands of crayons. Find them here: Crayon Brands Review. This brand melted the most easily so we donated them locally instead of packing them in our shoeboxes. I stopped by Dollar General and picked up a few of the Summer toys marked 40% off...they rang up 66% off (no clue why). So I picked up some more, then when I went to another one and picked up a couple things to test the clearance, and it wasn't on clearance at all! ...odd!! 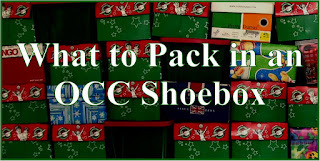 If you are wondering what other types of things to pack in a shoebox check out this post: Filler Items for Operation Christmas Child Shoeboxes. My sister and I were both able to stop by Dollar General and use their digital coupon for $5 off $20 school supplies for sale items, so ended up with all this for our Operation Christmas Child shoebox packing. My sister had just signed up for Dollar General digital coupons, and got a $1 off any $1.01 purchase, used it to pick up a pack of combs and a jump rope that was 40% off with the other summer toys. These are both great for my 10 to 14 year old girl shoeboxes. We also both stopped at Office Depot and both picked up the poly notebooks and mini boxes (for fishing kits). 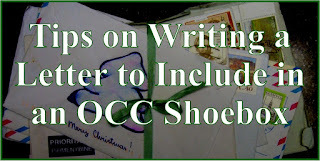 Check out two ways to fit a spiral notebook in an OCC shoebox. 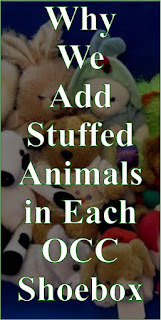 I also stopped by Mighty Dollar to pick up some more of those super cute foam animal puzzles I found last week. 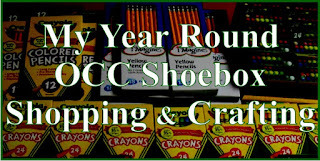 We include crayons in almost every Operation Christmas Child shoebox we pack and wondered which were best. We did some comparisons in both coloring and melting. 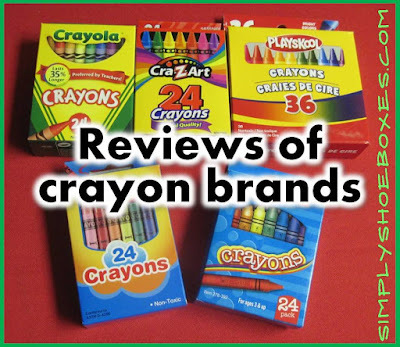 You can find them both here: Crayon Brand Reviews. 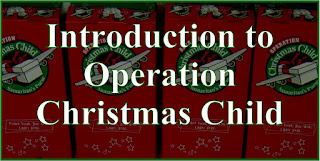 I did a couple orders online for Operation Christmas Child shoeboxes that I got in the last week. First, from Amazon I got these toothbrush holders ( Medline Toothbrush Holders, 72 count) I'm really happy with them as they seem to hold all different kinds of toothbrushes I've got deals on. I was even able to fit two of the cheaper ones in! I like to try to send more expensive ones (that I get on sale with coupons, see Simply CVS for more info on how I do that) when possible as I hope they're last longer then cheaper ones, and as I can often get them for around $0.25 a piece for nice name brand ones, I thought it was worth it. From Dollar Tree I ordered these (Plastic Snack Containers with Lock-Top Lids, 3-ct. 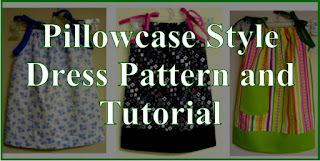 Packs) fellow packers recommended for soap cases. I really like them, they even have a seal which I hope will keep the scent in. 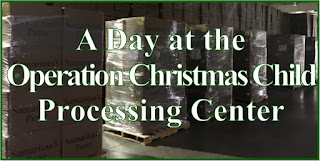 I stopped at Office Depot after church to get some of the penny and quarter deals. My sister was also able to stop and get more of the quarter deals. 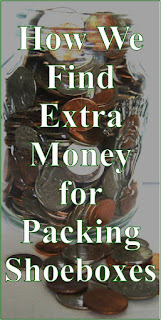 I had an $8 ECB I'd got at CVS from buying oral care items for shoeboxes that was going to expire, so I picked up four of these $2.50 T-shirts for the 10-14 year boy shoeboxes, as they were still on our needed list...we're getting really close to everything we need for the year...still picking up fun stuff as we find it though-more to shove in our boxes this year, or a start for next year. When I stopped by Mighty Dollar to pick up something we needed, I saw this, decided to pick up one to check it out-they turned out to be really cute!!! 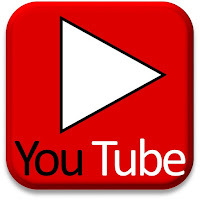 Jungle and ice scenes, lion, gorilla, polar bear, walrus, two penguins, and a mama and young elephant. 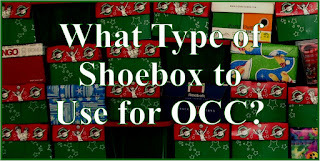 You can check out different types of shoeboxes to use for packing in this post: What Type of Box to Pack for Operation Christmas Child.